The Montrose Creek run-of-river hydroelectric power generating plant is located in the Toba Valley, approximately 160 km north of Vancouver, British Columbia. The plant is located on Montrose Creek, a tributary of the Filer River and has a nameplate capacity of 88 MW with an estimated annual energy output of 273,000 MWh. 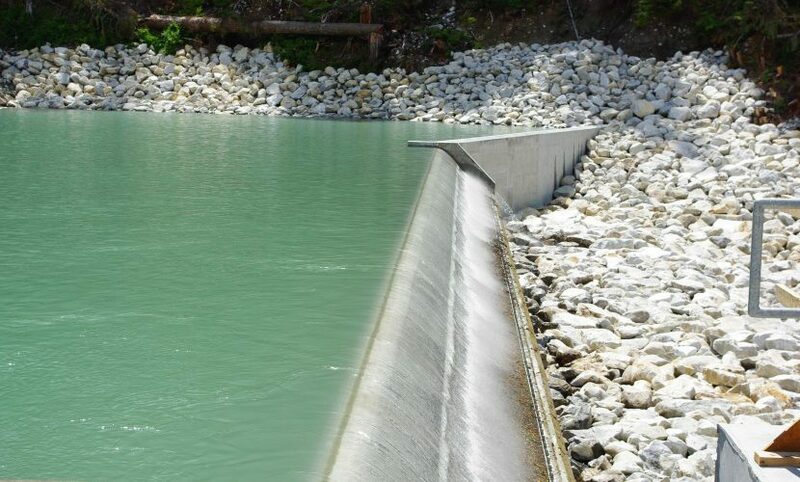 The project consists of a concrete intake with Coanda screen, a 4.8 km-long steel penstock and concrete powerhouse with steel superstructure housing two 44 MW generators. Energy from the plant is transmitted over a 156 km-long 230 kV transmission line that connects it to the East Toba plant and to the BC Hydro point of interconnection, near Saltery Bay. Construction began in 2007 and the facility started commercial operation in August 2010. All of the power generated at Montrose Creek is covered by a 35-year power purchase agreement (PPA) signed with BC Hydro, which starts at commercial operation and expires in 2045. The Montrose Creek plant has been granted ECOLOGO certification and Toba Montrose General Partnership is eligible for the federal government’s ecoENERGY initiative, intended to support renewable energy in Canada. Innergex and Axium Infrastructure own respectively 40% and 60% of the hydro facility.